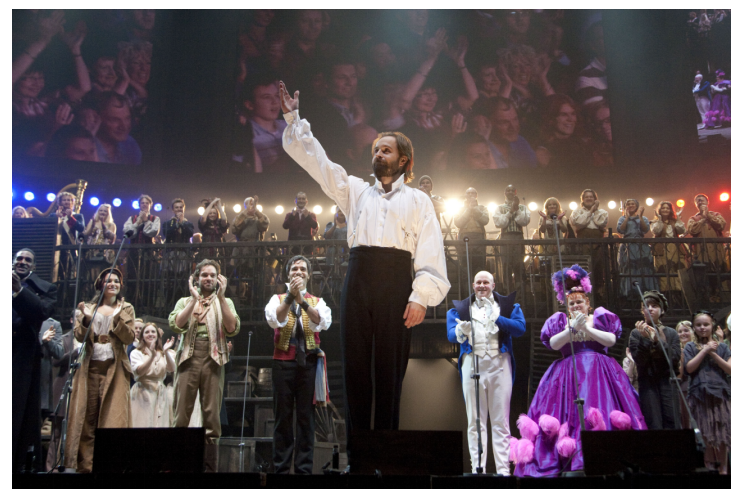 It featured Alfie Boe as Jean Valjean, Norm Lewis as Javert, Lea Salonga as Fantine, Nick Jonas as Marius, Katie Hall as Cosette, Ramin Karimloo as Enjolras, Samantha Barks as Éponine, Mia Jenkins as Young Cosette, Robert Madge as Gavroche, Matt Lucas and Jenny Galloway as the Thénardiers, and Earl Carpenter as the Bishop of Digne. Originally, Camilla Kerslake had been selected to perform as Cosette; however, she was unable to attend. Katie Hall was selected in her place. Hall had previously acted as Cosette at the Queen's Theatre from 2009 and in the 25th Anniversary Tour production at the Barbican. Casts of the current London, international tour, and original 1985 London productions took part, comprising an ensemble of three hundred performers and musicians. The orchestra was conducted by David Charles Abell, who also conducted the 10th Anniversary performance in Royal Albert Hall in 1995. For the encore, four Jean Valjeans sang "Bring Him Home": Colm Wilkinson from the original London cast, John Owen-Jones from the 25th Anniversary touring production, Simon Bowman from the current London cast, and Alfie Boe, who sang the role in the concert. The original 1985 cast (excepting David Burt, who had played Enjolras who states he can no longer sing the part) then led the ensemble in a performance of "One Day More". 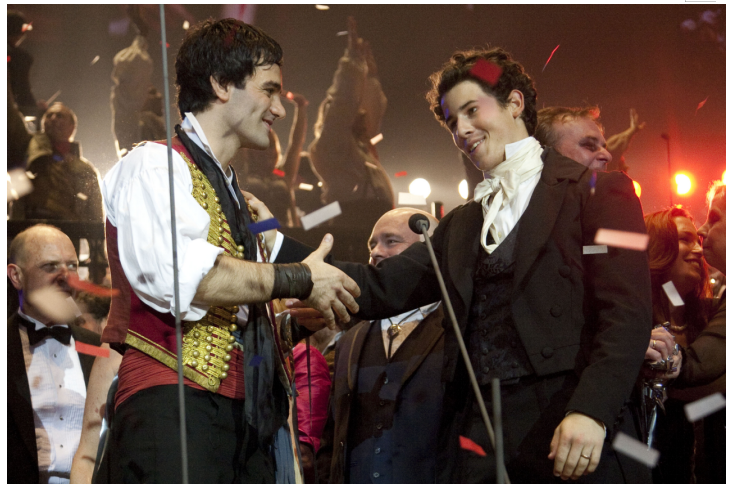 After speeches from Cameron Mackintosh, Alain Boublil and Claude-Michel Schönberg, the performance concluded with students from school productions of Les Misérables entering the arena through the audience and joining the casts for "The Finale". The evening concert was shown live in cinemas across the UK, Ireland and around the world. The end credits of the concert confirmed an adaptation of the stage musical for 2012 release.